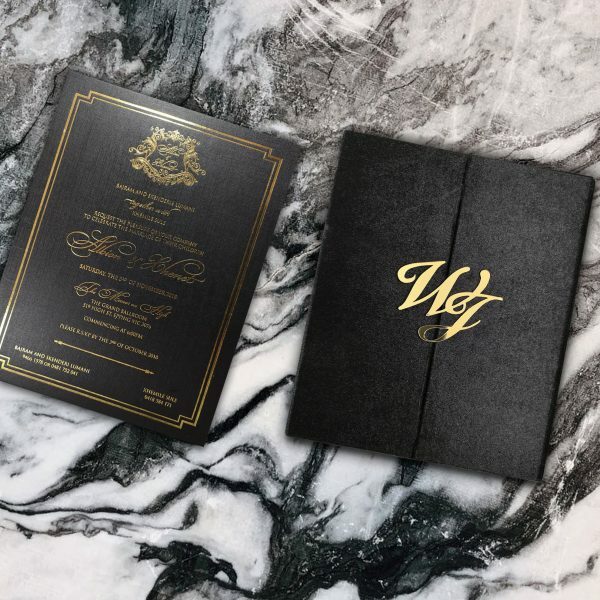 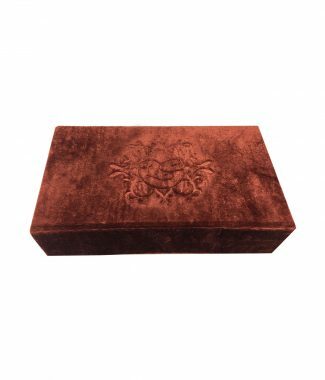 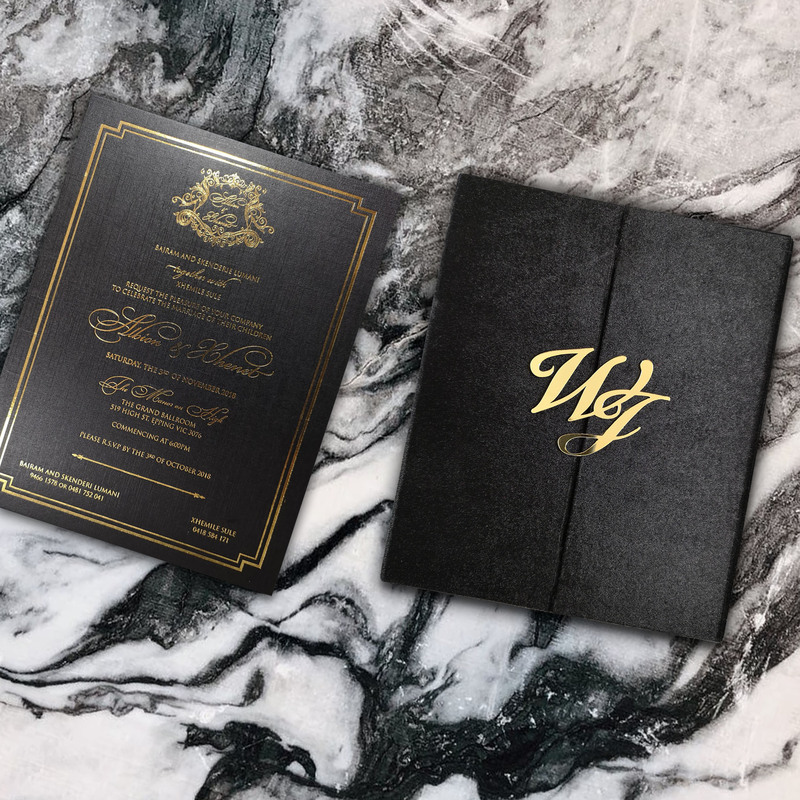 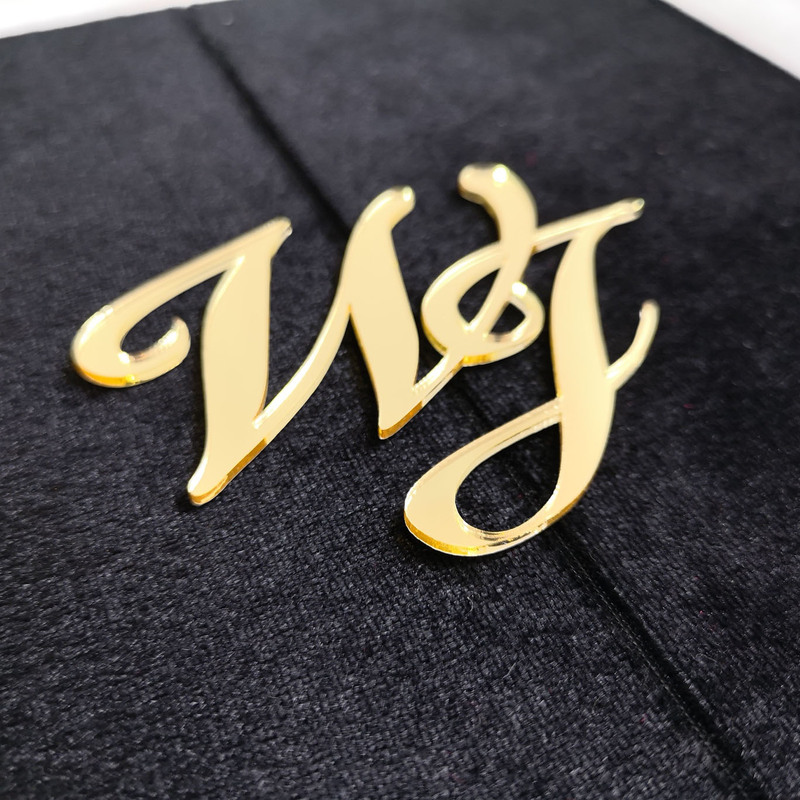 Luxury black velvet tri-fold invitation with acrylic monogram at the center. The folder openes from the center with pockets behind each door inside and corner holders for cards on the inside. 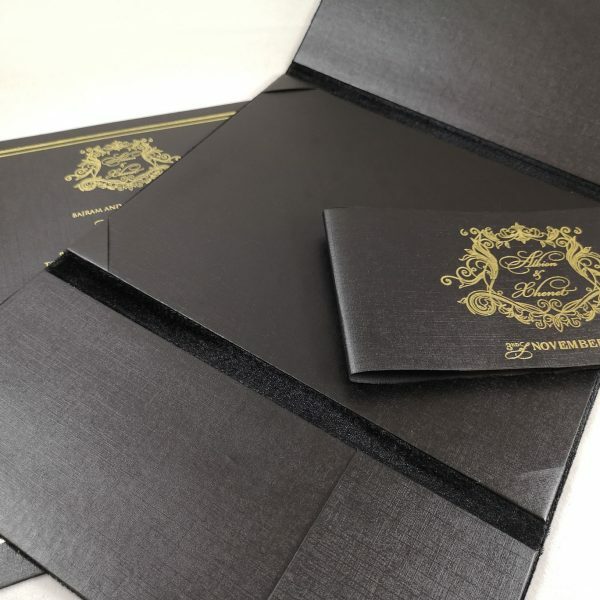 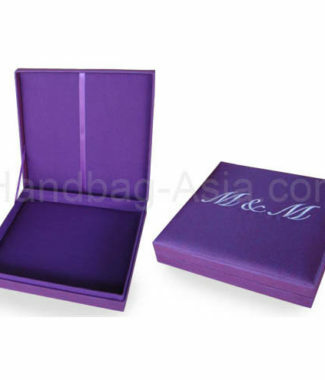 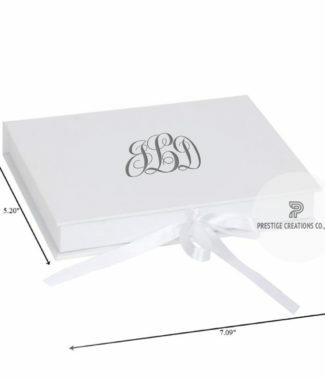 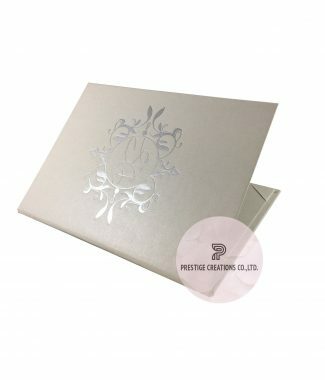 We can supply with foil stamped cards to our customer or only the folder with customized monogram design.